PennsylvAsia: "Learn to Play the Pipa (Chinese Lute) – 3 Class Series for Children," at Carnegie Library in May. "Learn to Play the Pipa (Chinese Lute) – 3 Class Series for Children," at Carnegie Library in May. The Carnegie Library of Pittsburgh's main branch in Oakland will host pipa soloist Yang Jin for a series of free pipa lessons in May. Renowned pipa performer Yang Jin will teach a series of 3 free pipa (Chinese lute) classes for children beginning May 2. Pipa instruments will be provided during class. Registering for one class will register you for all 3 sessions in the series. The class is limited to 12 children. The instructor, Yang Jin, is one of the leading pipa soloists of her generation. 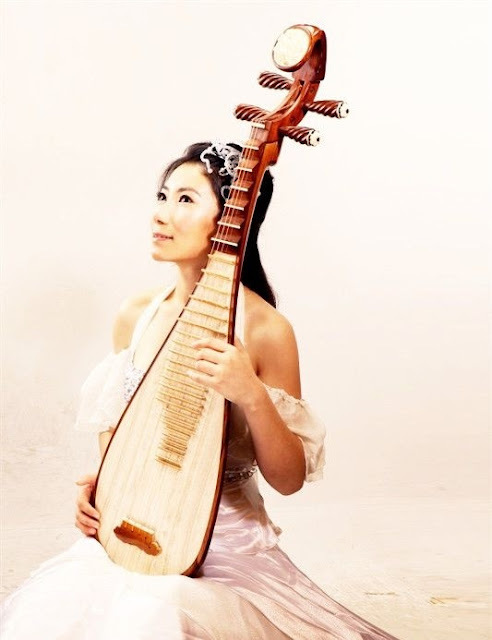 Born in Datong, Shanxi Province, in 1982, Jin began her study of Pipa at age nine. She received her BA and MA degrees from the world-famous Central Conservatory of Music in Beijing. She has performed in mainland China, Hong Kong, Macao, Taiwan, France, the U.S., Britain, Japan and the Philippines. In October 2016, Jin began playing with Yo-Yo Ma’s “Silk Road Ensemble.” Jin is a solo performer with the Cleveland Chinese Music Ensemble, Pittsburgh Purple Bamboo Ensemble, Gypsy Rad Ensemble and Afro Yaqui Music Collective (Jazz).